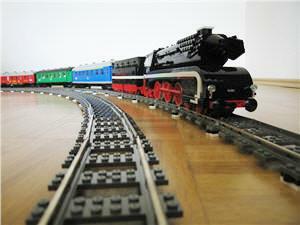 Long curves built by using straight pieces of track. 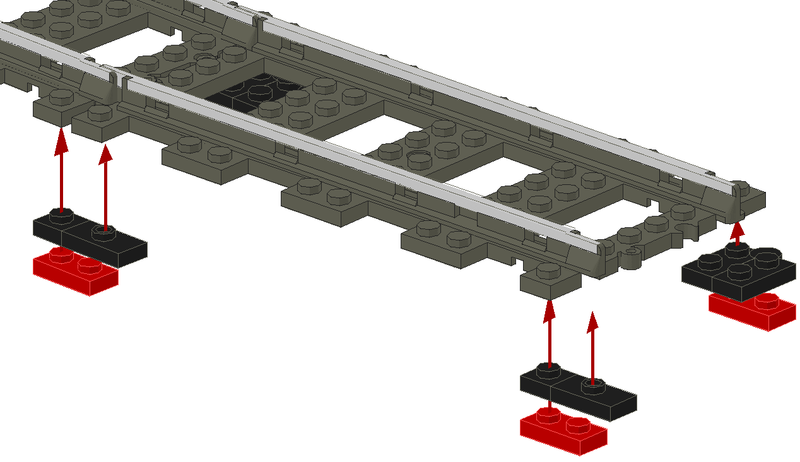 The standard radius of LEGO train track doesn't work well with realistic looking train models. The following solution might help a little bit – provided that you have enough space available. 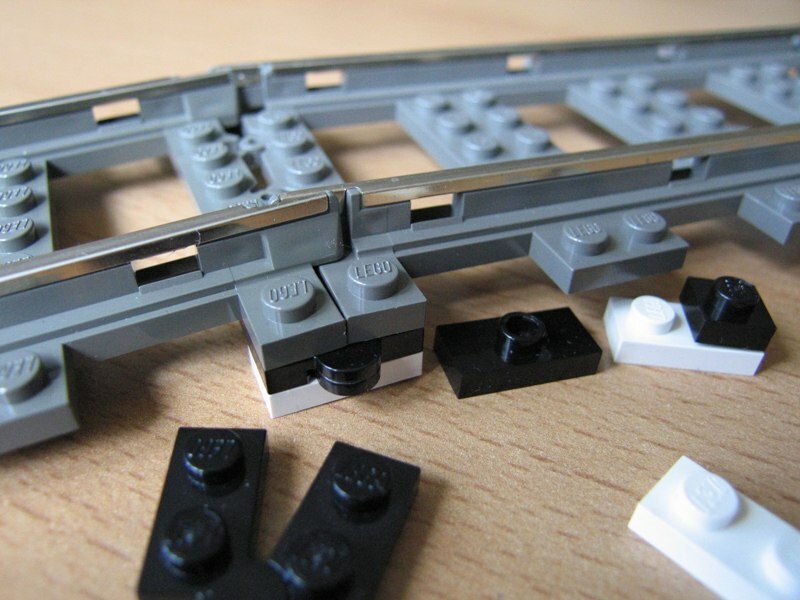 Only straight pieces of track and the minimum of five other LEGO elements are required to create such long and smooth curves. 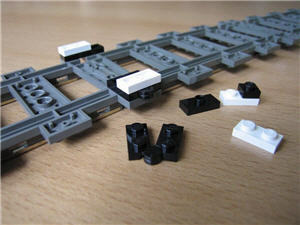 Using just straight track pieces will lead into a polygon, a shape close to a circle. A little offset makes the curve. 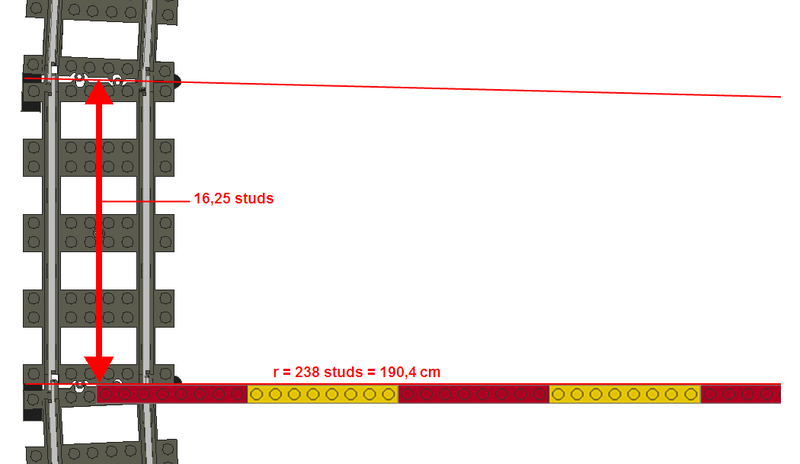 Using 23 of straight pieces of 9V track makes a quarter of a circle. A full circle contains 92 straight pieces. 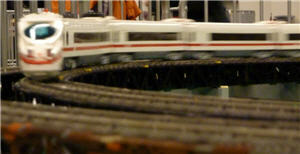 A second track outside of the original track can be build using 25 pieces for each quarter circle. 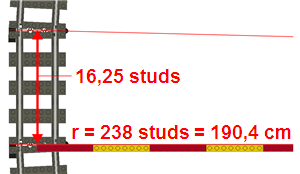 Therefore the 1st+2nd and 24th+25th piece has to be connected to each other without the offset gap. This value can vary in reality because the tracks have enough play. 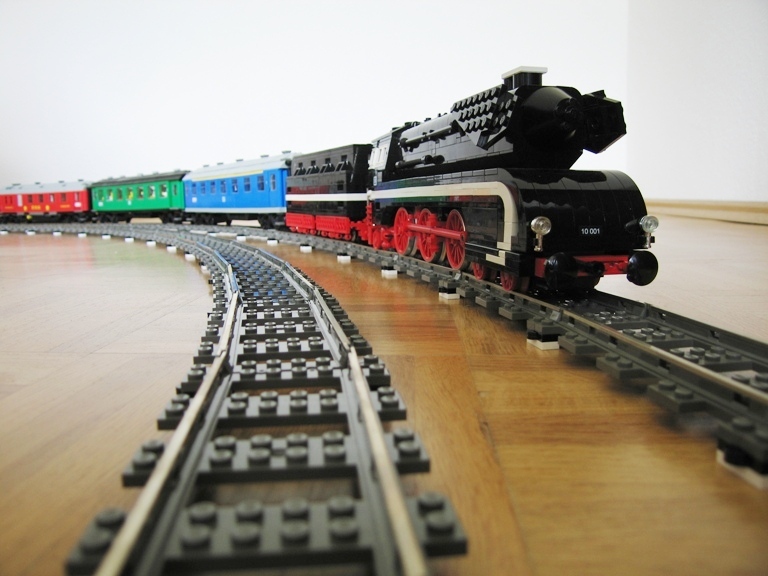 This building technique was first published in Railbricks Magazin (https://brickmodelrailroader.com/index.php/download-railbricks/railbricks-issue-1/) "Smooth Curves. Without cutting corners." 2007 (Edition 1, pages 32-33). Eric (LEGO9vtrainfan) from Canada has provided a little video tutorial showing how such long curves are built. 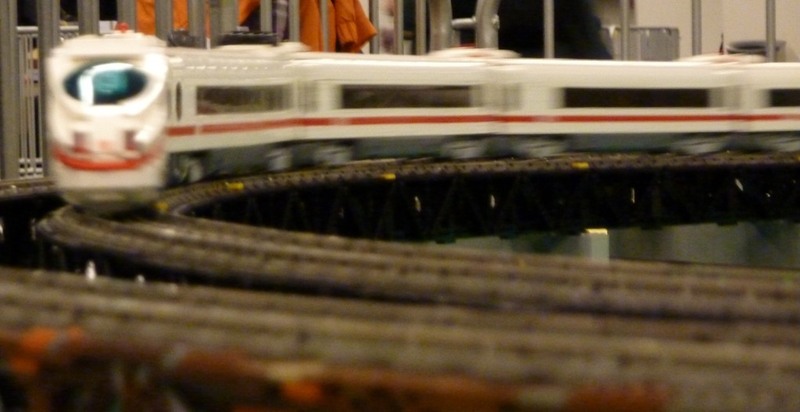 At the LEGO Fanwelt 2010 exhibition in Cologne Kai and myself prsented a full train layout just using long and smooth curves. The dimensions were about 18 m x 6 m.
The best impression of this layout is given by various Youtube videos which I could take during this show.